All Systems Red is the first book in Martha Wells' Murderbot Diaries series and it was a brilliant introduction. Set in a universe where space travel is a regular occurrence and scientific expeditions to far flung planets are sold to the lowest bidder its fairly common for things to go wrong but on their latest mission things are about to get very difficult for our narrator, the part organic / part robot Muderbot. All intergalactic expeditions must take along a company supplied security unit, ostensibly to protect the humans but equally used to report back any interesting scientific findings. Murderbot is the SecUnit for a team of scientists, one of two groups currently working on a previously unexplored planet. Well aware of their previous failures Murderbot can't afford to make any mistakes on this latest mission, they just need to keep their head down, get the job done and then they'll be free to spend all their time watching the entertainment feed. After a series of strange equipment malfunctions they end up completely losing contact with the other group on planet, a sure sign that something isn't right. Murderbot has to do whatever it takes to keep the humans alive but that may be easier said than done considering they have no idea who the enemy is. This was a really fun novella to read, Murderbot is such an interesting character with a snarky sense of humour and a definite dislike of having to interact with the people they're supposed to protect. 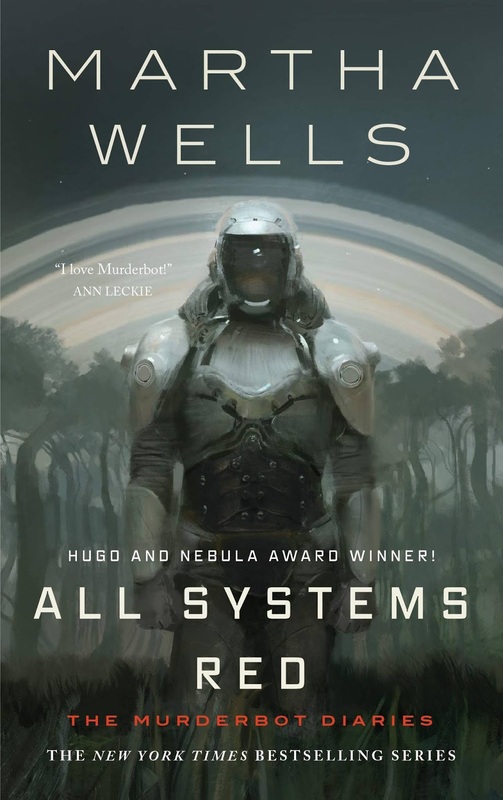 All Systems Red may be a novella but Martha Wells packs a lot in, the combination of humour and action makes this a very quick and easy read and it definitely left me wanting to see more of Murderbot and the rest of the crew.